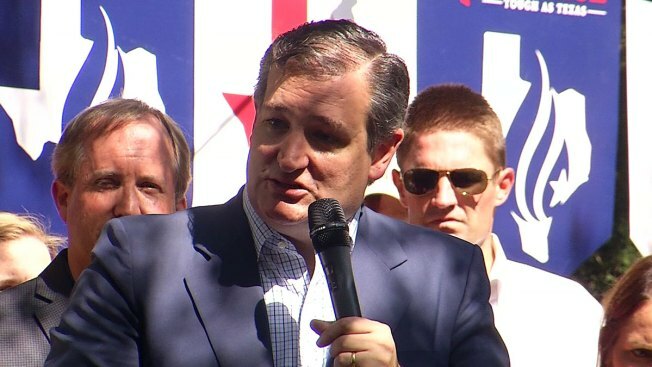 U.S. Sen. Ted Cruz (R-TX) says Thursday his campaign raised more than $12 million in the third quarter. "That is a sign of conservatives all over the state of Texas stepping forward engaging in this fight. We are grateful for that. Now the bad news is, I think it is very likely that Beto O’Rourke is going to record a quarter north of $30 million," said Cruz. Cruz made the announcement after an event in Plano at the Katy Trail Ice House outpost where he fired-up his base in this competitive race. "There is no race in the country with a starker divide than this US Senate race here in the state of Texas," he told the crowd. Cruz and U.S. Rep. Beto O’Rourke (D-El Paso) will meet later this month for a second debate -- the first of which was sponsored by NBC 5, SMU and The Dallas Morning News. A debate scheduled for last Sunday was canceled due to an expected vote by the Senate Judiciary Committee. After Thursday's event, Cruz headed back to Washington for Saturday's expected confirmation vote of Judge Brett Kavanaugh. Cruz expects him to be a Supreme Court Justice that evening. O'Rourke, whose campaign has not yet announced his fundraising total for the 3rd quarter, will be in North Texas Friday. He is visiting colleges and universities throughout the state.